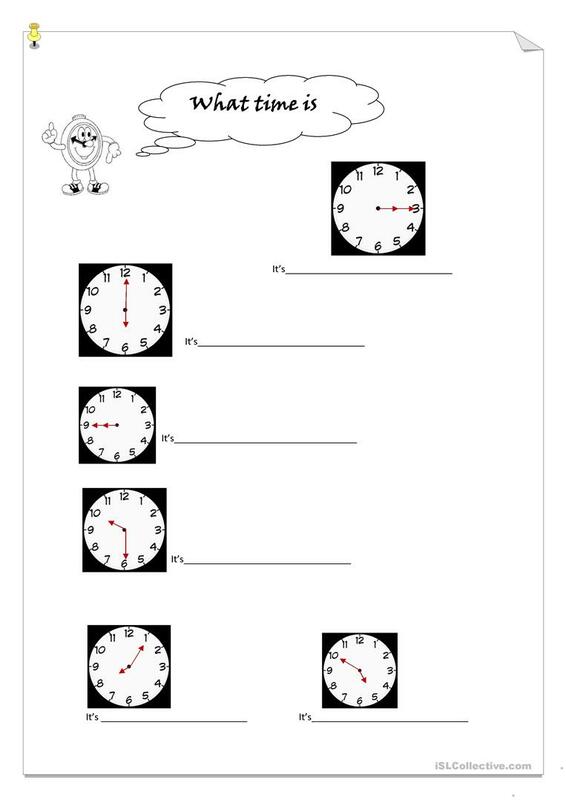 students are given six clocks and they are asked to tell the time. The above downloadable handout was created for elementary school students and kindergartners and nursery school students at Beginner (pre-A1), Elementary (A1) and Pre-intermediate (A2) level. It is excellent for improving your groups' Writing skills. It is focused on the vocabulary topic of Time. mary2510 is from/lives in Greece and has been a member of iSLCollective since 2011-05-23 19:57:59. mary2510 last logged in on 2016-11-06 17:35:07, and has shared 27 resources on iSLCollective so far.